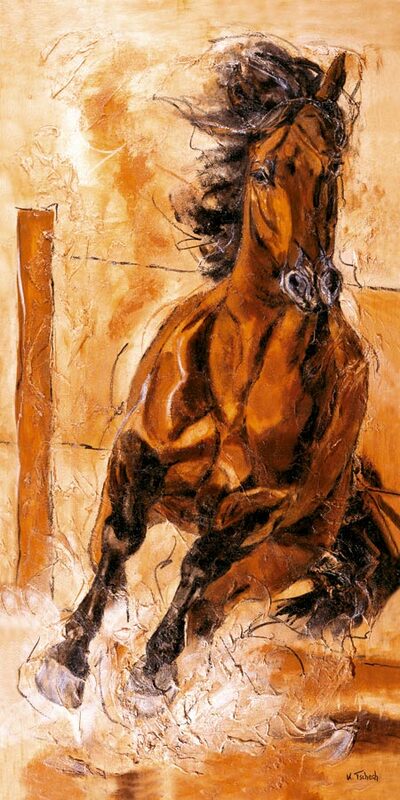 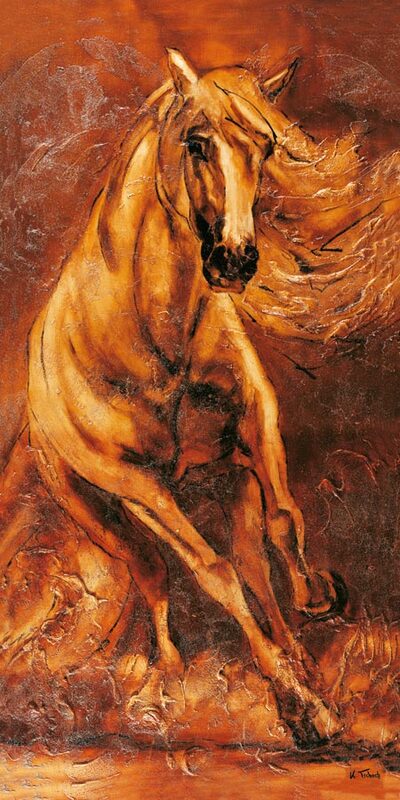 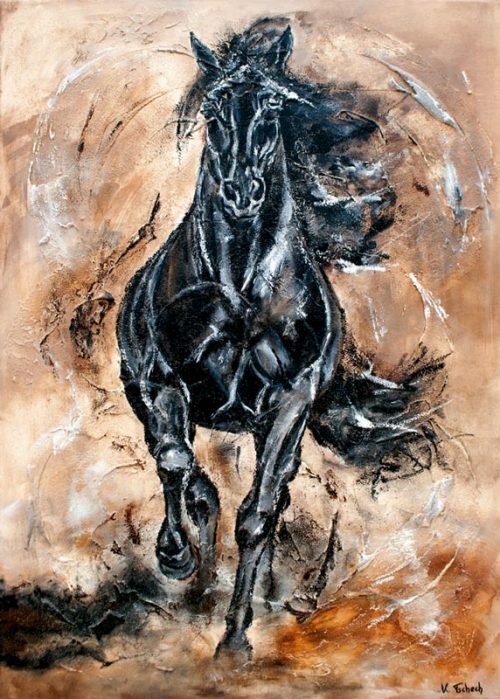 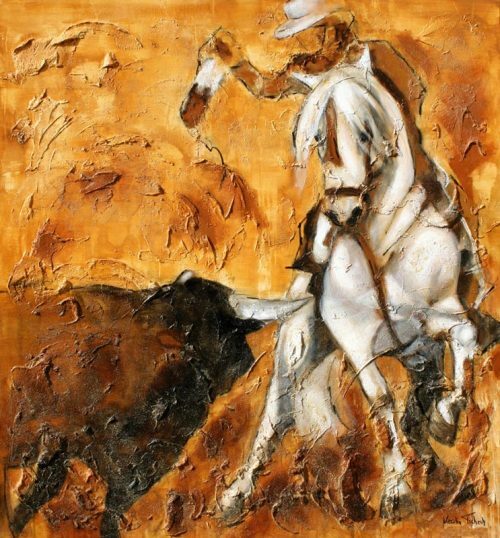 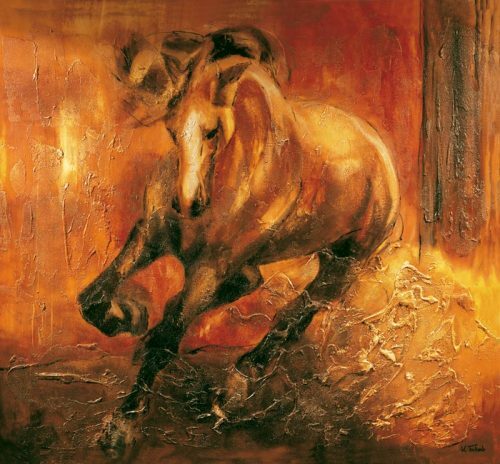 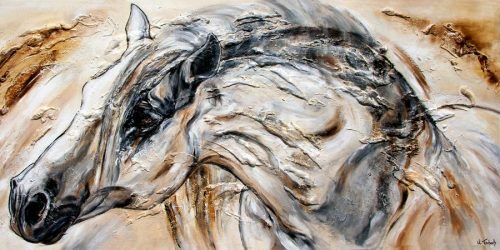 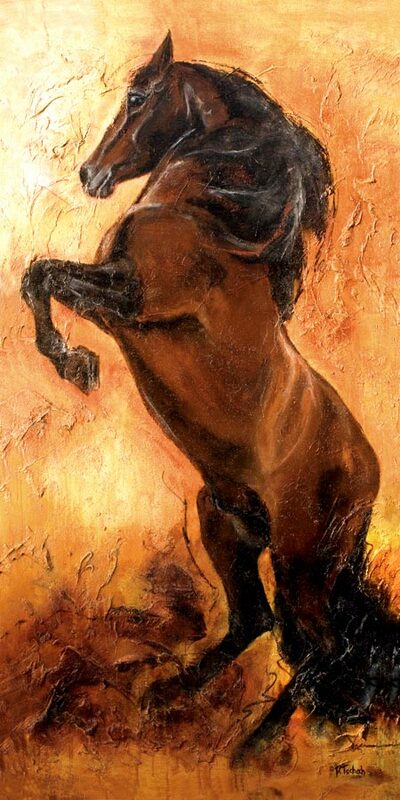 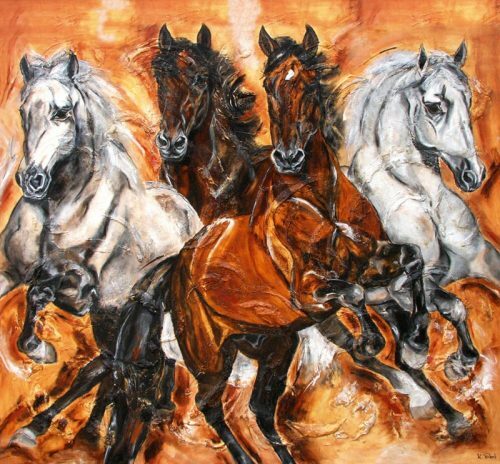 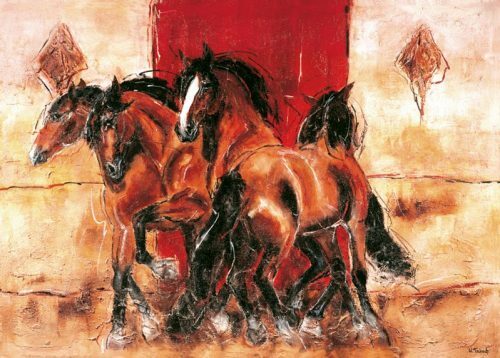 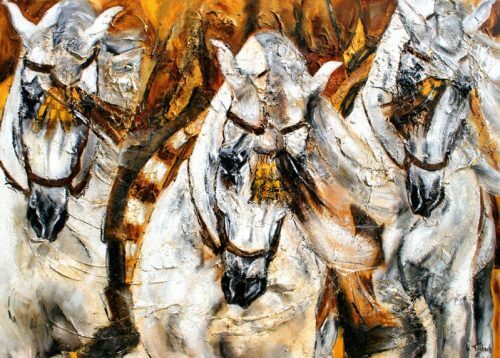 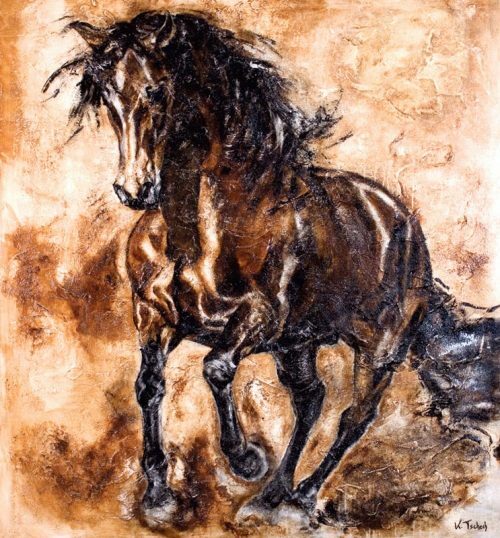 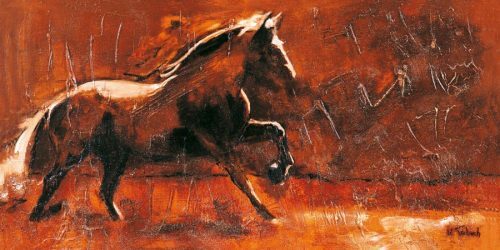 In the horse paintings on canvas presented here like horse art prints you will find a variety of Spanish P. R. E. stallions, which have a very graceful and noble expressiveness. 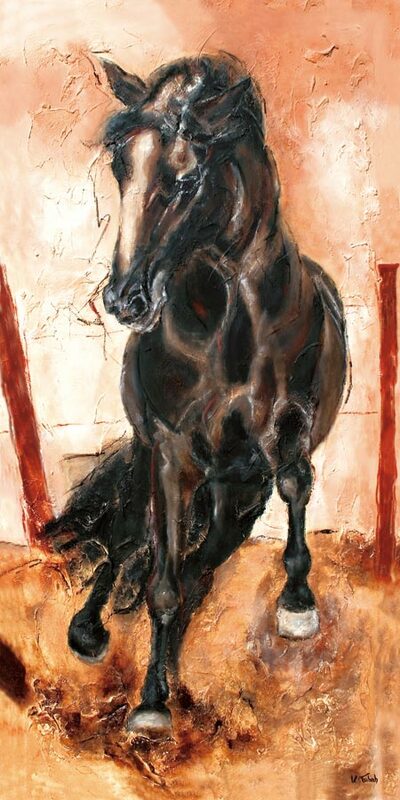 It is precisely these attributes that the artist KerstinTschech stages in her horse portraits, while underlining them with structural elements. 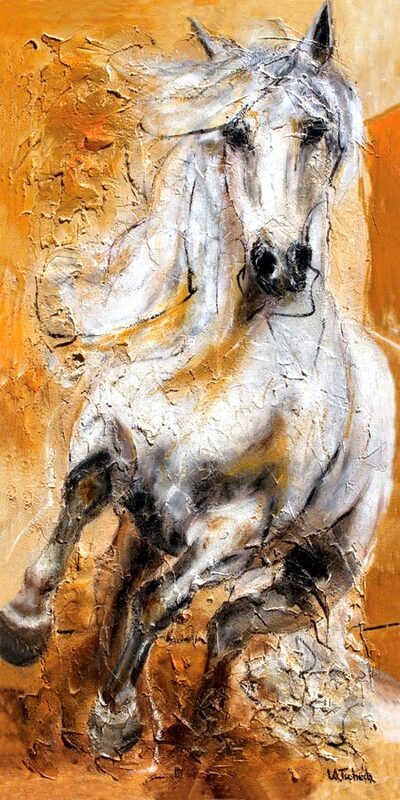 She also takes care to express the naturalness and elegance of the Spanish Horse. 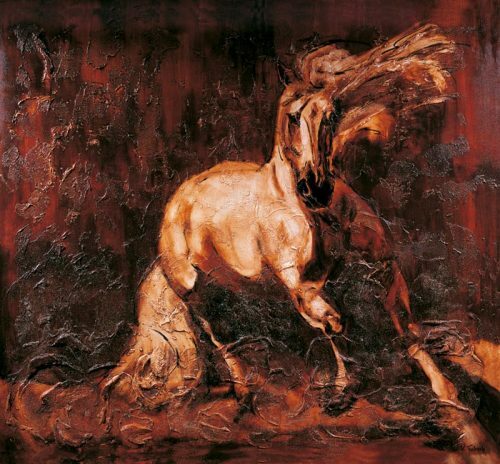 The history of these baroque horses goes back to the 15th century. 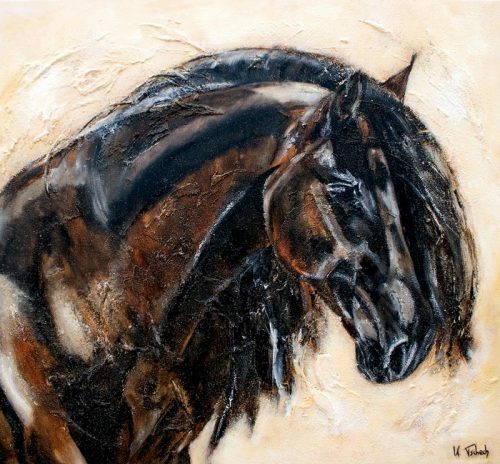 Tey are particularly characterized by their strength of character and loyalty as a long-standing companion of man. 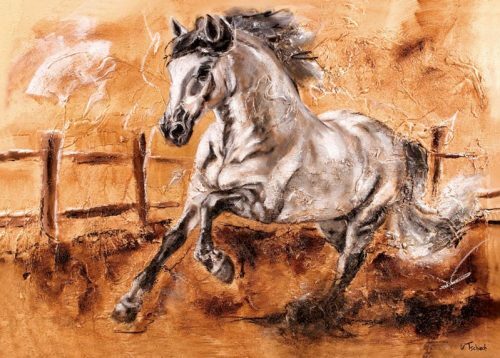 In addition, the Spanish horse is a very teachable horse breed that is predestined for special lessons and therefore often used in horseshows such as the „Apassionata”. 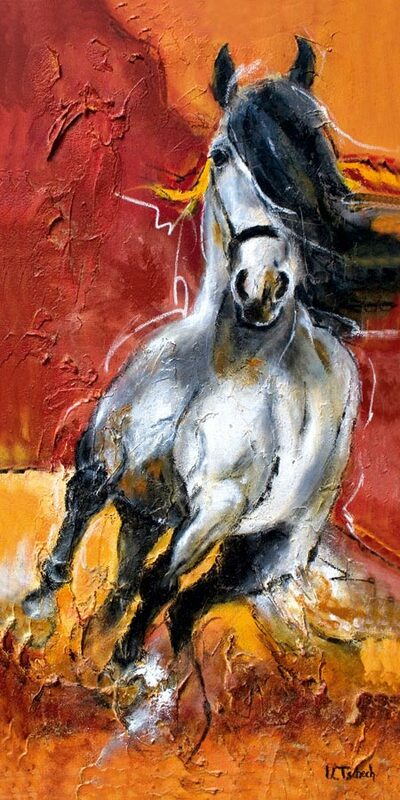 The artist herself has already visited numerous studs in Andalusia to prepare horse studies on site. 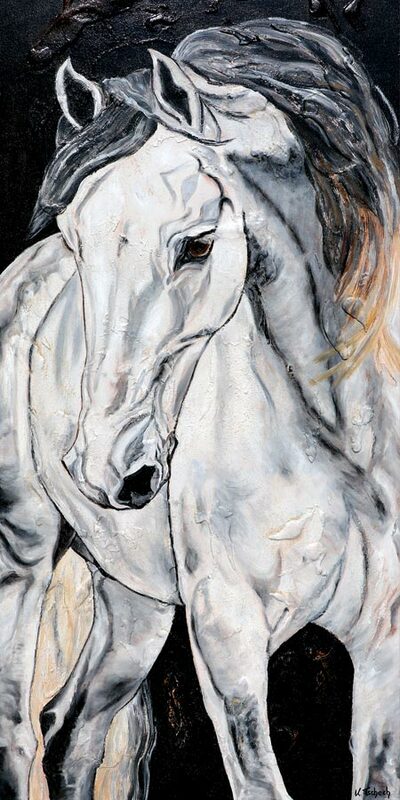 Also her own Spanish horse taught her a lot about this breed and the baroque riding style. 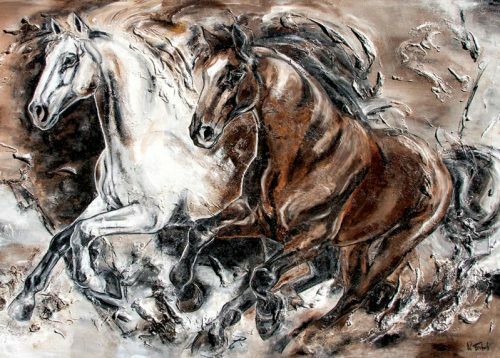 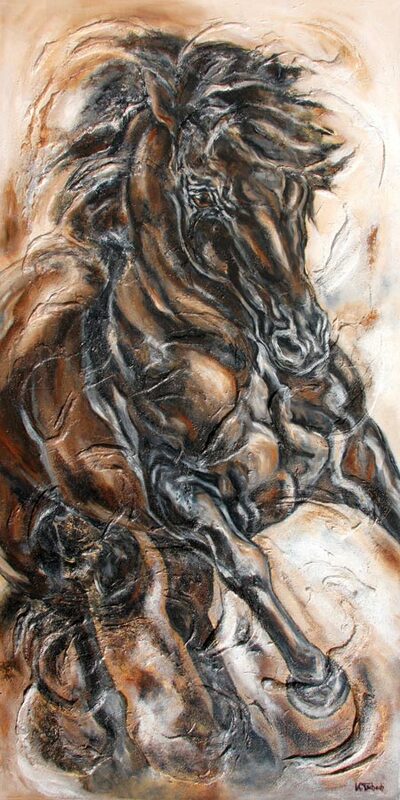 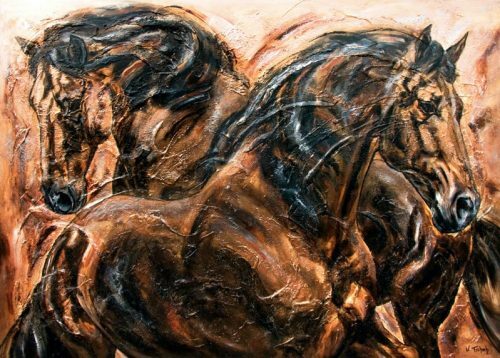 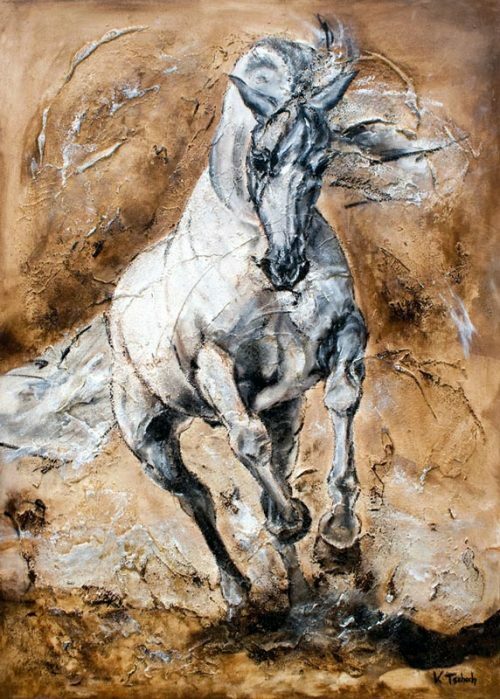 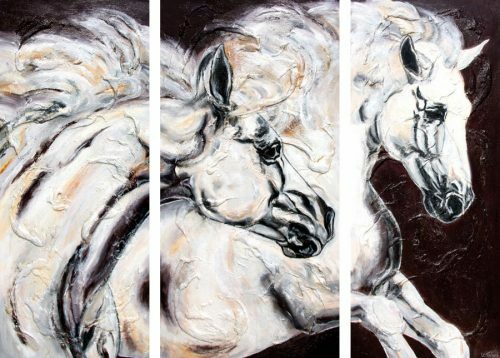 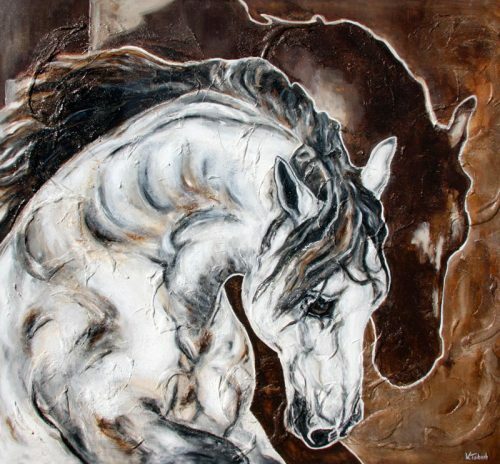 Therefore her personal experience is reflected in her paintings with these unique horses.